Scott Sonnon grew up battling severe dyslexia and physical disabilities, while his single mother worked multiple jobs to make ends meet. Rejecting limitations, Sonnon became five-time martial arts World Champion and coaching Team USA. His fitness systems transformed the industry, and are used by more than 50,000 military Special Forces and other elite units, including the U.S. Federal Law Enforcement Training Center, Customs and Border Protection Advanced Training Center, Marshals Service Training Academy and Army Special Operations Aviation Regiment. Sonnon lives with his wife, Jodie, and their two children in Washington. Q. Please tell us about your latest book. A. In a unique, bite-sized format developed through years of writing daily social posts for his tens of thousands of followers, five-time martial arts World Champion Scott Sonnon recounts inspirational lessons he’s learned battling dyslexia, physical challenges, opponents in the ring and daunting personal and business challenges. He eventually managed to recast his dyslexia as an advantage. His recent TEDx talk on these issues has reached more than 50 million people. 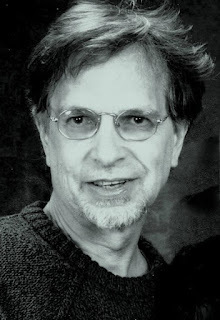 The Hall of Fame trainer known as the “Flow Coach” distills his experiences along with guidance from some of history’s greatest thinkers into practical life advice that applies equally to those coping with their own unique learning styles, as well as those struggling with life decisions. This book will provide inspiration for children and adults facing labels of learning disabilities, as well as those suffering the ravages of obesity, the trials of post-traumatic stress, the affects of bullyism and the physical challenges of aging. Q. 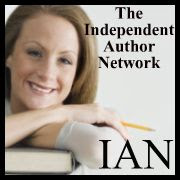 Is your book published in print, e-book or both? Q. Where can we go to buy your book? Q. 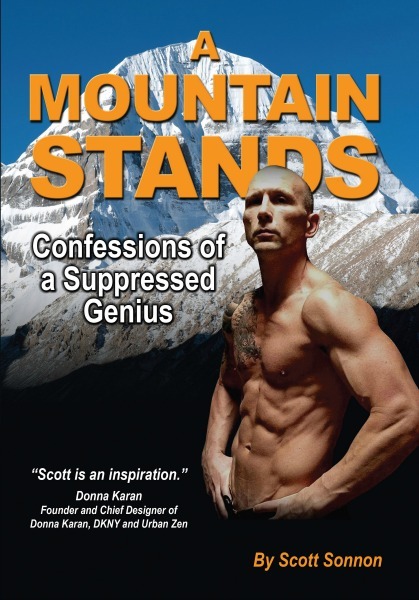 Why did you write “A Mountain Stands: Confessions of a Suppressed Genius”? A. Benjamin Franklin, one of America’s most fascinating dyslexics, once wrote, “If, at first, your idea isn’t absurd, there is no hope for it.” Five years ago, I had an absurd idea: Each morning, I would write a story about my life. In that story, I would find the positive benefit it had brought, even if I didn’t understand it at the time. Beginning with my darkest moments, the most traumatically piercing events, I exhumed a life of suppressed damage to determine the positive coping skills I adapted as a result. The stories would eventually form a book that even someone like myself - a dyslexic - could read and absorb. The concept of “micro-chapters” evolved: Short stories (some less than a page), but each of which unfolding a “Hero’s Journey” as Joseph Campbell describes: an obstacle, a failure to overcome it, the finding of a higher purpose, the collection of allies and assets, a successful but surprising reattempted victory, and the sharing of the decoded discoveries previously locked within them. Q. In simple terms, what is dyslexia and how common is it? A. Dyslexia is often perceived as a language disability, and this is accurate: When forced into most traditional educational approaches, a “dyslexic” has difficulty with language. But this is because of a specific way that a dyslexic’s brain is organized. A simple explanation is that they have more “grid cells” (on the hypothalamus) and so their brains interpret two-dimensional language into three-dimensional shapes, causing reading, writing and even speaking challenges. But that same 3D nature of their brain allows them to see the world from incredible faceted perspectives and gives rise to their innovative, entrepreneurial, creative mind. It is a gift with trade-offs, like anything. We must make our goal to help dyslexics realize their gifts, and provide them with strategies and support to mitigate the trade-offs. As much as 20 percent of the population has it: that’s over 60 million Americans, and 1.4 billion people worldwide. Q. Who are some famous dyslexics in history? A. Some of our greatest contributors had dyslexia: from both Edison and Tesla in electricity, from both Wright brothers to Richard Branson in the power of flight, from Alexander Graham Bell to Steve Jobs in telecommunications, from Sir Isaac Newton to Stephen Hawking in physics, from Da Vinci to Disney in art, and Washington to Kenned in politics. Q. Your book describes how your mother was your greatest advocate and defender, yet you felt betrayed when she allowed you to be institutionalized. How did that happen? A. I was disruptive in my classrooms. I didn't try to be. As Albert Einstein cautioned, “If you judge a fish by its ability to climb a tree, you will always be frustrated, and that fish will always feel stupid.” I had assumed I was stupid, especially when called so, and my teachers always felt frustrated, especially since their teaching and testing methods fixated on approaches which amplified my “trade-offs” as “learning disabilities.” I objected and attempted to self-advocate. I rebelled. I felt the world was against me. This neither excuses nor indicts my behavior. It was what it was ... a socially manufactured psychological environment that was preventable. My mother was my strongest advocate, and she did a superhuman job of rearing me in a time and in circumstances where it should have been impossible for me to survive and thrive. She did that, despite my inability to recognize that I was worsening the situation with my rebellion. It’s taken half a lifetime to unpack that experience, and feel neither blame nor guilt. Q. How does your childhood experience affect you as a parent? A. My children suffer from a condition known as “childhood.” They get into arguments. They make blunders. They say and do inappropriate things. Like every human who ever endured “childhood” does. The negative effects that my children experience involve me reading into those natural experiences of growing, and seeing something other than it is. Sometimes, I have to step back and let my wife teach me what “normal” is. So, I let myself just be a big kid with them. Within that age-appropriate sphere, we play together. I make mistakes, and I try to forgive myself and realize that I will not break them with a parenting error. And I try to exhale and step back, as they grow out of one sphere, and are ready - all too soon - for the next larger one. Someone please write a book! Q. We recently lost the great comedian Robin Williams to suicide. He described himself as having severe dyslexia. Is there a possible link between dyslexia and suicide? A. There’s no physical link between dyslexia and suicide. There may be a link between abusive shaming of those who are different, and the lifetime burden of estrangement this forges. When I was much younger, I attempted suicide, but a friend intervened and help arrived, thank God. The thought went through my mind, “If I am alone, truly alone, then what does it matter, especially if it hurts so much?” My mother, my mentors, my dear friends helped me realize, despite the story I had accepted as a true self-­‐ identity, I was not separate. I am “alone, together” with everyone in the neurodiverse world. When I lacked courage, they helped me turn around and encourage others. And that has made all of the difference. Q. Your book mentions that your son seems to have dyslexia, but not your daughter. How can a parent tell if their child has dyslexia, and what can they do about it? A. My daughter has her own unique brilliance, equal but different than my son. She's an interpersonal, auditory and musical/rhythmic learner, so she repeats everything she hears, thinks and reads in order to “latch it in,” and all the while she twirls, flits and taps. It’s like a cacophony to a kinesthetic, intrapersonal, spatial thinker – like her Dad. So, we have an interesting family dynamic. For the parents listening, especially those whose children may be struggling in the school environment, there are definitive tests for dyslexia that will offer conclusive evaluation. I highly recommend contacting the local chapter of the advocacy group Decoding Dyslexia for support and guidance. Q. One of your quests has been to help battle the kind of stress that killed your father and continues to kill our police and Fire Fighters in their mid-­50s on average. What techniques did you develop, and how can our listeners use them? A. The exhale portion of breathing is tied to the “relax and recover reflex,” just like the inhale is tied to the “Fight or Flight reflex.” So, the obvious tool to use is our exhalation when facing stressors. However, it sounds easy to think “just exhale” until a sudden, new, different type of stressor hits us, and instead we inhale and brace in response. This dumps a chemical cocktail into our bloodstream, embedding into our fatty tissues and causing cumulative damage. How we breathe under stress is determined by how we have trained ourselves to breathe. Therefore, I interweave breathing techniques into exercise. Unfortunately, most exercise programs unwittingly reinforce distress, adding to the problem. Q. You have invented several unique Fitness programs and earned the nickname “The Flow Coach” based on the links you discovered between movement and brain function. How do they work? A. Movement is an “idea” in your mind. How you think you can move determines how you actually can move. The corollary is that if you improve your movement, you expand your neural network. Like Oliver Wendell Holmes said, “A mind once stretched by a new idea cannot return to its original dimensions.” This is because the brain is plastic. It’s actually the scientific term -­‐ neuroplasticity. The brain isn’t like a rubber-­‐band where you stretch it with a notion, and then it rebounds when you stop thinking about it. It’s like a plastic bag, where once you stretch it, it stays that way. Once you see things from a different vantage point, you can’t unsee them. Your brain always has that alternate viewpoint available. Movement allows us to expand our mind’s eye, so the more we play, the more our brain bolsters its function. The goal is to get underneath the reflex of fear, of disbelief. If you don’t believe you can move a certain way, and you’re afraid to do it, not only can you not move that way, but your body defensively braces against it, causing pain and injury if you attempt to do so. I had very strong beliefs as to my potential, but great aspirations as to what I wanted to achieve, so I had to create escalators of baby steps, micro-­‐advancements that would stay underneath the radar of my fear and disbelief, stretching my mind one micro-­‐movement at a time. It is the steps forward, and the recovery steps when our pain and injury cause us to back-­‐pedal, that are the truly revolutionary strategies in body-­‐mind integrative development. Q. Do your programs help with weight loss? A. Yep, and abs too! Weight loss and muscle gain are natural byproducts of expanding your movement potential, and expanding your mind’s eye of your potential. Q. How many previous books have you written? A. I have written 7 books, and 11 manuals. Q. What is the target audience for this book? Who can apply these lessons and stories to their own lives? A. My book is for anyone who faces challenges and seeks support, inspiration and strategies for transforming obstacles into opportunities. And face it, we all need help from time to time. Q. Are all of these stories based on First hand, real-­life experiences? Q. Where does the inspiration to write a particular story come from? A. Inspiration is a fickle muse: you either wait for it, or you systematically create the environment for it to happen, and then practice it until it does. When you’re beset with negativity, inspiration might never come, so I learned -­‐ through my teachers’ guidance -­‐ to set a clock every day, and begin writing an answer to a question: Take this negative experience, and reflect upon the wisdom of the great minds and hearts; how then would you re-­‐frame the experience into a positive one? After 13 years of practicing this process every day, there are now few times that I cannot realign the value of a difficult moment. They still happen, of course, but they're manageable, and I am not long from recovering to a positive perspective. I captured the best stories over this decade plus of refinement, and compiled them into a chronological anthology. This is the value of the book, more so even than the adventures of the stories: the PROCESS of each story offers the reader an alternative approach to facing their own challenges. Q. What is your message? Is it only limited to one thing or group of people? A. My message is simple (but not easy): You either succeed, or you learn. And I've learned much more than I've succeeded. Although many people will advise you to celebrate successes, and to a degree I agree, I've learned to be error-­‐focused, to become enamored with my mistakes, and to revel in my shortcomings, for hidden within them is our capacity for growth. Often, hidden in our misperceived flaws, we find our true genius. Only our skewed perspective keeps us blind to our innate gifts. My book is an allegorical mirror to reflect to my readers not my story, but their own ... and inside of their story ... their own suppressed genius. Unearthing that brilliance will take courage, patience and persistence, not because of the difficulty of sharing it, but in the internal and external resistance to believe you’re not brilliant. We are taught to be “normal” -­‐ a term used in sociology for the median, the average ... the mediocre. Shining is discouraged because it makes you an outlier. You weren't meant to fit in, though. You were meant to stand out... to Stand like a Mountain. My book is meant for anyone who wants to stand up for themselves and for others. Q. What is the greatest challenge you have overcome as a dyslexic in order to become a published author? A. The most difficult part of that self-­‐acceptance came in knowing the difference between my language difficulties -­‐ the “trade-­‐offs” of being a dyslexic -­‐ and my neurological innovations in thought and expression -­‐ the advantages of being dyslexic. What I do to editors should be classified as torture. Joking aside, writing style has been defined by rigorous guidelines of accepted grammar and story development format ... despite the radical dyslexic genius of writers such as William Shakespeare, Agatha Christie, WB Yeats, F. Scott Fitzgerald, Jules Verne and George Bernard Shaw. It’s simple to think that when you have these literary giants as examples, you must immediately feel confident in your own innate style. But that simple rationality isn't easy to embrace. Growing up being labeled as “stupid and slow” carries generational weight: it not only lasts your entire lifetime, but it can be passed on to the next. At some point, you have to muster lifetimes of courage and just... own who you are and how you express it. Q. What would you say today to your teachers and doctors who encouraged you to aim low when you were just a child? A. I would apologize to my teachers and doctors for not being self-­‐confident enough to show them a new reality, to provide them with the cognitive dissonance strong enough to wake them from their dogmatic slumber. They only suffered from the ignorance of that generation. We now know differently. NOW there is NO excuse for what they did then. Now, it should be considered criminal, knowing what we know of neurology. But then, it was just the highest expectation of education. Those rare few who advocated for me were outcast as heretics, and would be now considered our innovative educators reforming our educational system. I would also thank them, for they became motivation for me, to prove them wrong. Rebellion isn't always helpful, but sometimes ... especially against wrongdoing, it is a necessity. Unfortunately, I made many mistakes in ill-­‐focused rebellion, which further imprisoned my freedom to express myself. Teachers and doctors have a much broader and deeper educational experience now ... and can understand the nature of childhood rebellion: we are not attempting to be disruptive; we just can't figure out, in our young minds, how to fit our round peg into the square hole. Today’s professionals are helping us find holes that fit us as individuals. We should help them as much as humanly possible! Q. How do you choose what you write about each day? And, how do you find time to write with your busy schedule? A. Life chooses what I write about, because there is never a day that passes without a wealth of lessons, even in the most seemingly mundane domestic task, like weeding the garden. One of my most impacting teachers, whom I write of in my book, Dr. Jonathan Ellsworth Winter, talked often about the dyslexic Vincent Van Gogh’s preoccupation with one of his masterpieces – “A Pair of [Peasant] Shoes.” Dr. Winter explained that these simple, dirty, battered shoes represent more art and life than the most opulent cathedral. He taught me the elegance of the simple things. So, I look for them, and see lessons everywhere, even in the simple, dirty, battered shoes of my children. What joy looking at them brings me! Time is another illusion which writing has allowed me to dispel. The more that we practice on a regular schedule any skill, the more efficient it becomes, and the more time we GAIN. So, with any skill, you have the appearance of the least amount of time at the beginning because we are the least efficient at that -­‐ and many other -­‐ skills. Setting a time, beginning to write, stopping when the set duration is complete, trains you to become more efficient. Over a decade of practice at this method has allowed me to choose any moment to tap into the inspiring body of ever-­‐present simple beauty of life, especially the misperceived negative moments, and reflect the lessons with which they are saturated. Q. Does your family support your publication of these personal stories? A. My poor wife endures a thousand retellings of the same story. She does so with a patient smile (and an occasional eye-­‐roll). My children are still young, so not all of the stories are appropriate for their ears. I strive to learn-­‐on-­‐the-­‐job how to parent in a way that assumes my own childhood experience is not necessary for them to thrive. My growth has not been as a compensation for how difficult my childhood was, but rather my growth has been because of embracing the innate gifts I (and we each) have to offer, and dedicating my life to sharing them. That has not been an errorless journey, even as a husband and parent. They have suffered my growing pains... and yet, they still love me. How amazing is that? !